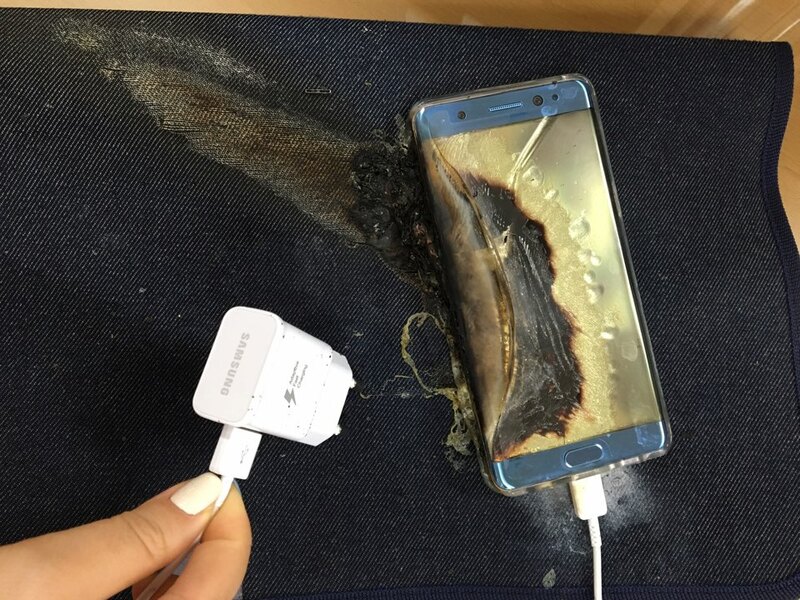 HOME / TRENDING / BEWARE: SAMSUNG GALAXY NOTE 7 CAN EXPLODE DURING OR AFTER CHARGING! Samsung Galaxy Note 7 can explode while charging! On Saturday, Samsung urged people to stop using their Galaxy Note 7. Turns out if you charge the phone or remove it from charging, it will catch fire or explode! 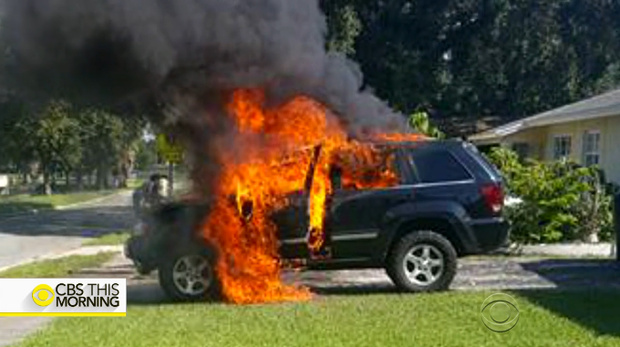 US TV channel Fox 10 claims that a family jeep got set on fire due to a faulty Samsung Galaxy Note 7! Samsung Electronics, the world’s biggest smartphone maker, posted on their site cautioning people to immediately stop using their Galaxy Note 7 and get it replaced. After reports of the phone exploding during or after charging, the South Korean company said that they would exchange the phones starting from 19th September. “Our customer’s safety is an absolute priority,” said Samsung in their online statement. So here’s the problem: If there’s even a tiny manufacturing error in a lithium-ion battery or the battery charges too quickly, it can cause a short circuit which leads to a fire. Other reasons can be minute holes in the sealing or metal contamination. What should you watch out for? 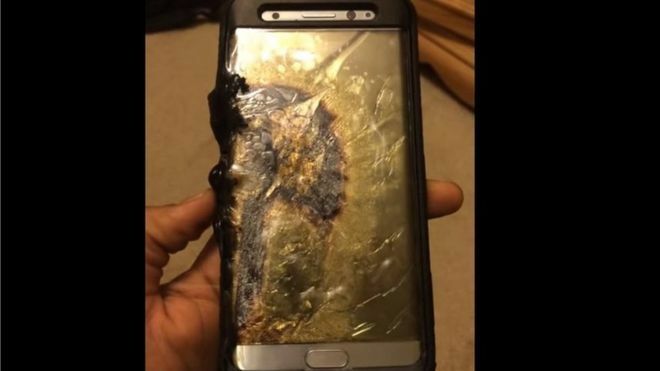 Firstly if you use a Galaxy Note 7, turn it off and don’t charge it until you get it replaced. If you use any other phone, make sure your phone battery isn’t swollen up or your phone doesn’t get unnecessarily hot. If your phone battery shows such signs, it’s safer to get your battery replaced. Airlines ban Galaxy Note 7! Due to the possibility of explosion, Galaxy Note 7 has been banned by certain airlines like AirAsia, Singaporean Airlines, Emirates Airlines and many others. In the US, passengers were warned not to switch on or charge their phones on board. It was advised to not pack the phone in check-in luggage as well. Speaking of phones, have you checked out the new iPhone! ?